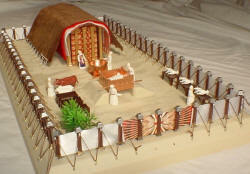 Many religious groups believe that the Tabernacle had a lot of symbolic significance to things of the New Testament. 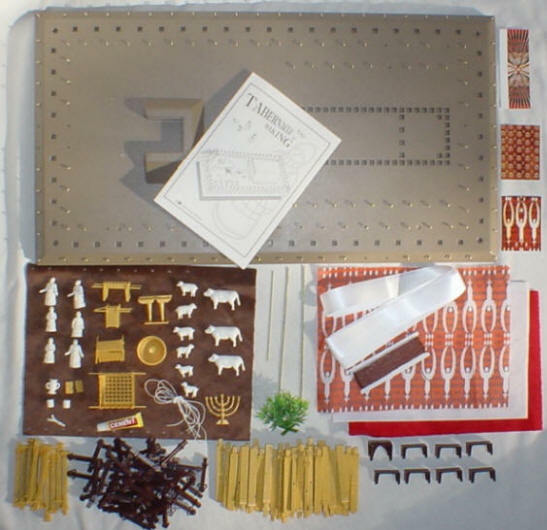 Many of the Tabernacle web sites on the Internet explain their various interpretations. Visit the Tabernacle Links page at: Tabernacle Links page. My simple interpretation of some of the symbolism of the Tabernacle follows. My symbolism works its way from the entrance to the courtyard to the most holy place. The bronze altar stands for the sacrifice of Jesus. The laver where the priests washed before entering the tent represents baptism where Christians are washed of their sins before entering the church. 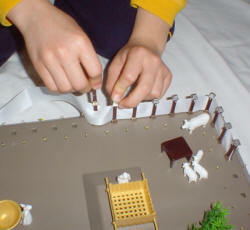 The holy place represents the church. In the holy place the table of shewbread represents the Lord's Supper. The altar of Incense represents the prayers of the Christians in the church. The Lampstand represents the preaching of the word of God. The most holy place represents heaven which is the dwelling place of God. 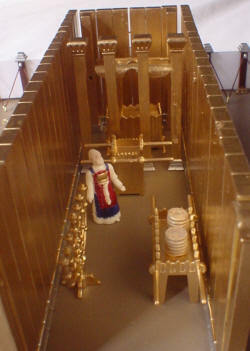 There are many interpretations of the symbolism of the Tabernacle. The bottom line is that we don't know for sure what it all means because God didn't explain it all. We do know according to the book of Hebrews that Jesus death on the cross replaced the Old Testament sacrifices. 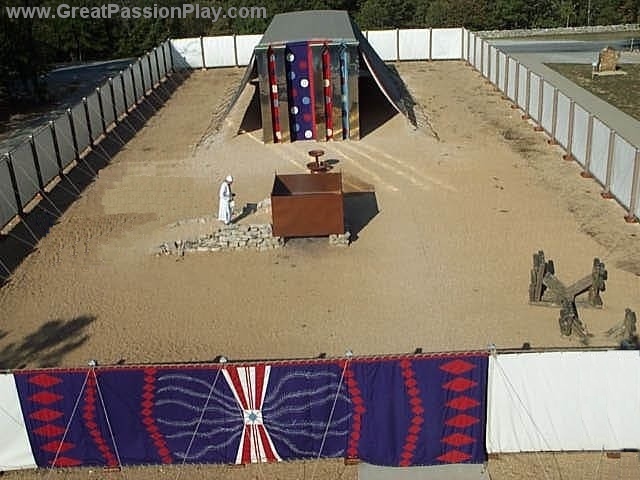 Below is a picture of the Tabernacle as envisioned by the folks at "THE GREAT PASSION PLAY" who built a full scale model of the Tabernacle. This is NOT from our 3D model. You can use this image for comparison to our 3D concept.